I can't believe there is another Garnier double dip this week! Valid: Sunday 24-Wednsday 27th April. 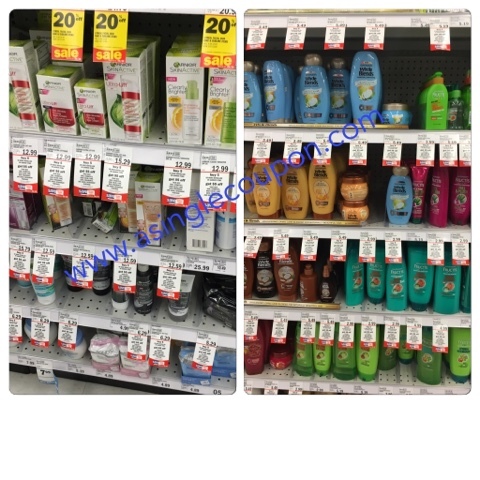 Buy 5 Garnier or Maybelline items and get $5 catalina for a further purchase, plus the Wednesday market currently has a buy $10 worth of Garnier products and get $3 catalina. Make sure you clip any beauty personalized rewards you may have as these will count towards it!!! Thanks to Angela Denny for confirming the double dip! Please Note: Sunday Market: If only the $3 catalina prints then take your receipt to customer service they will fix it for you as the store is tagged! Thursday market, if only the $3 catalina prints then Customer Service will probably not be able to do anything as the store will not have the buy 5 get $5 catalina tags up yet!